SHRM Olympia – Olympia, Washington’s affiliate chapter of the Society for Human Resource Management (SHRM) and the Northwest Human Resource Management Association (NHRMA), serving human resource professionals in Thurston, Mason, Lewis, Grays Harbor, and Pacific Counties. Join business leaders & pledge to consider all qualified candidates. Click here for more information. We are planning great things for 2019. As a SHRM Preferred Provider, SHRM Olympia is diligently working on providing more programs that are pre-approved for SHRM credits, while continuing to provide HRCI Credits to our members and guests. Visit our website frequently for information on our monthly meetings and our annual conference which happens late spring. Our website also allows us to communicate different local, regional, and national HR conferences. If you’d like to join our listserv to get all of our upcoming events sent directly to you, don’t hesitate to contact me! Our board this year is a great mix of local public and private employers, which we plan on using to our advantage to provide meaningful and cutting edge meetings. We read all of the comments you provide each meeting, and will always plan for meeting topics around the areas that you find pertinent. Don’t forget to designate SHRM Olympia as your home chapter; when you designate us as your chapter, SHRM provides the chapter financial support to assist us in being able to provide you with the programs and HRCI credits you want. You can join SHRM Olympia as your primary chapter using the Chapter form. Scan and email your form to SHRMOlympiaPrograms@yahoo.com. You will receive a confirmation email once your form has been received. If you are a local employer with a job opening, we would be more than happy to post your job announcement for you for FREE. Email me for additional information. Feel free to send me a message at shrmolympiapresident@yahoo.com if you have any questions or concerns. If you are looking for an opportunity to get involved, check out our LinkedIn group or find us on Facebook or Twitter! 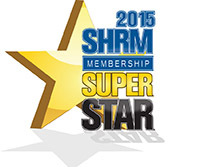 SHRM Olympia is recognized by SHRM to offer Professional Development Credits (PDCs) for the SHRM-CP or SHRM-SCP. Are you interested in upcoming events? Sign up on our SHRM Olympia Email Distribution List today to receive notice! SHRM 2016 National Conference and Exposition! June 19 - June 22, 2016, Washington, D.C. Click here for more information and registration! NHRMA 78th Annual Conference! September 7 - September 9, 2016 Bellevue, WA. Click here for more information and registration!